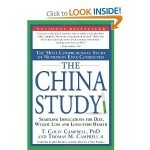 I wanted to share a book with you that has made a significant difference to my life. And in sharing it with others, they have also noted positive changes in their lives. 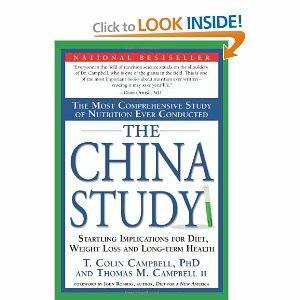 This book is The China Study: The Most Comprehensive Study of Nutrition Ever Conducted And the Startling Implications for Diet, Weight Loss, And Long-term Health by T. Colin Campbell. My main reason for making the change was to eliminate a nagging stomach problem that seemed to be escaping diagnosis by scoping and probing. Nothing showed up, but I knew I had a problem. Once I switched to this way of eating, the stomach issue cleared up and only returns if I slide off the suggested protocols. It was a bit tricky at first to change the way I thought about food, especially what I would eat for a main meal. The rest I had pretty much figured out. I am purposely not sharing all the details because I really want you to read the book and decide for yourself whether it makes sense to you. Other benefits, besides a happy stomach, are a return to my ideal weight, improved vision, more energy, less bloating, and an overall sense of well-being. Now that I have been eating this way for a bit, I really have come to enjoy the foods. It has become an adventure – a healthy adventure. So, I invite you to check it out for yourself. Love to hear your thoughts and/or changes if you do decide to follow this path.